The latest issues of the publications I edit are out in Lebanon, the United Arab Emirates, Kuwait and Qatar. 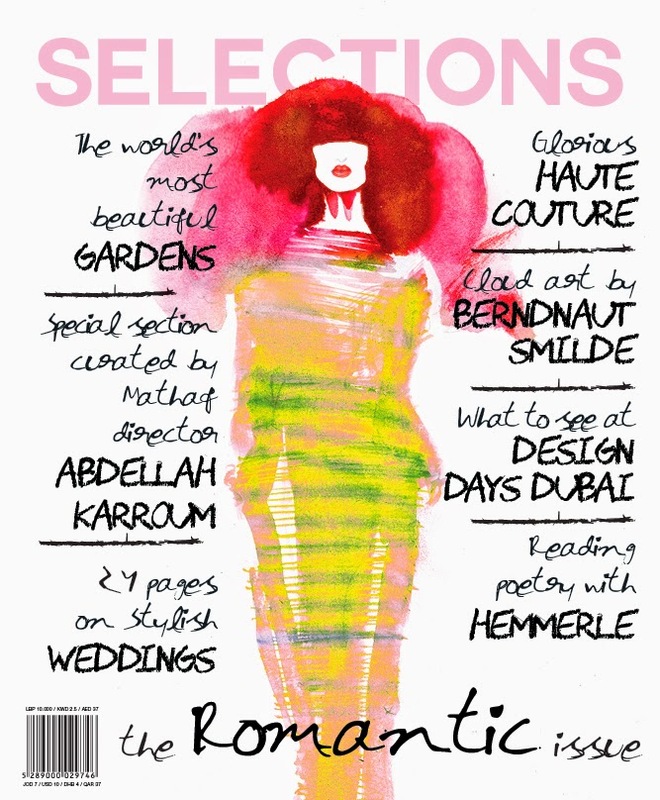 My personal highlights from the main magazine, Selections, are Amelie Hegardt's illustrations of the Spring Haute Couture looks by Marco Zanini for the revived house Schiaparelli, which she did especially for us, and the 16-page section Curated by Abdellah Karroum, director of Mathaf: Arab Museum of Modern Art. The Art Paper, the art supplement we launched in September, has gone from strength to strength and has become a real pleasure to create. 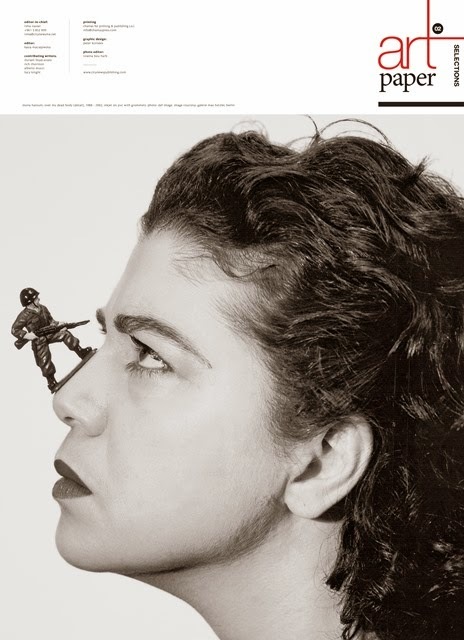 This issue's lead story is my interview with Mona Hatoum and review of her powerful survey show Turbulence.